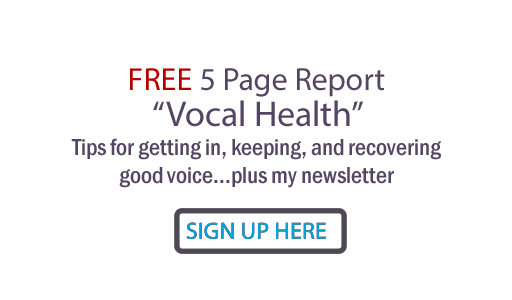 Judy Rodman - All Things Vocal Blog: Spasmodic Dysphonia: What Treatment Options Are Working? Spasmodic Dysphonia: What Treatment Options Are Working? WHAT ARE THE TREATMENTS FOR SPASMODIC DYSPHONIA? The first thing we need to know is that medical treatments now available will only manage symptoms in true SD cases. That is the major diagnostic difference between SD and MTD (muscle tension dysphonia) disorders; MTD cases can be cured by re-training vocal habits and eliminating physical and psychological tension. Please note: MTD cases are much more common than SD. Medical options pretty much boil down to two things: Botox and surgery. First of all, several experimental surgical treatments involving such things as paralyzing nerves and splitting the thyroid cartilage to make more room for vocal cord stretch have been found to be ineffective. These surgeries also cannot be reversed, and are not now recommended. One surgery reporting better success is called "selective laryngeal denervation-reinnervation"(SLAD/R), which is suggested for some with the AdSD type of Spasmodic Dysphonia. Patient response has been reported to be 85 - 90% positive, with life-long results of improved vocal function instead of eventual re-occurring symptoms, as has happened with other surgeries. What has been reported to be more than 90% effective for SD patients is Botulinum toxin (BTX or Botox) injections, which involves injecting a very small amount of the toxin directly into the overactive vocal muscles. It weakens these muscles so that spasms are diminished and the speaking voice is improved. Patients experience best results more often having one side at a time injected instead of hitting the whole set of overactive spasming muscles. The drawback to Botox therapy is that it is only temporarily effective, and must usually be repeated every three to six months. It is important to find a doctor who is skilled in delivering this injection because a needle must be inserted into the vocal muscle affected, frankly a tricky spot to hit. The treatment is expensive and can be painful, but is the method of choice by most SD sufferers at this point because surgery is considered a last resort. I have come to view SD as a mindbody disorder; not psychological or neurological, but both. I believe we cannot separate the mind and body functions, including the function of the brain... The track record for voice therapy is a poor one. I believe this is because speech therapists are not properly trained to administer voice rehabilitation with the intensity and the holistic nature that SD therapy requires. The emotional piece of SD is huge and there are breakdowns not just in voice production, but in breathing, voice image and more.The “feeling” of proper voice production is lost in a case of SD and must be rediscovered. Chiropractic, Alexander Technique and Feldenkrais Method can provide symptomatic help in certain cases, and a breathing technique is discussed here. The medical professionals I heard and spoke to at the Nashville symposium last week all say that much about spasmodic dysphonia remains a mystery. They wanted me to know as a vocal coach that if I run into a frustrating case I can't cure with my vocal training, I should send them to get evaluated for vocal damage or spasmodic dysphonia, which of course I have done and will continue to do. They also affirmed that patients with SD can, especially if they have mild to moderate severity of the disorder, be helped to a limited degree with vocal therapy and retraining. However... an SD sufferer was the person who invited me to the symposium, because she had been so frustrated by seeking help from drama and vocal coaches with no positive results. She quite rightly wanted to get the word out about SD to vocal coaches so they would know to recommend medical evaluations instead of continuing ineffective training if they suspect this condition in a student. Could alternative treatments cut out the need for Botox injections? Are the above websites just selling false hope to suffering people? I don't have the personal experience to form an opinion. Vanderbilt Voice Clinic suggests the following website for the most accurate information on spasmodic dysphonia: www.dysphonia.org . If a student comes to me with signs of spasmodic dysphonia, I will not tell them I think they have it, because I know you can talk someone into manifesting a disorder just because they believe it. I will try using the training that so far has helped everyone I work with, at the first lesson. If I cannot get quick results moving in the right direction with vocal improvement, I will suggest a medical evaluation from experts in the voice such as Vanderbit Voice Center to rule out physical vocal damage or conditions such as spasmodic dysphonia which might require medical intervention. If spasmodic dysphonia is diagnosed, I will consult with the medical professionals concerning any vocal training that I could try which could mask or better the symptoms of the particular client. I will keep up on the research into spasmodic dysphonia, which I believe is vitally important for all vocal coaches everywhere. May a cure be found ... and soon... for all sufferers of spasmodic dysphonia. The alternative practitioners you mention on your website refuse to have their "results" verified by independent authorities. So far, not a single case has been verified as cured. If someone had a cure and kept it from people by refusing to get the results verified by an independent SD specialist, they would have some credibility. The techniques they use involving altering pitch and speaking habits which do nothing but mask the SD. If anything, it can create more problems for the patient. Thank you for your comment, Tedi... I appreciate your thoughts and experience with this. I do remember an SLP expert at the Symposium talking about "Sensory Tricks"... where you change your pitch or your accent. She said this can result in TEMPORARILY getting rid of the symptoms of SD, but that after a while, the symptoms always return. Indeed... not a cure. I don't mean to be rude but when I was growing up, I was forced at the age of two years old to have my tonsils removed. The cause was recently discovered to be excessive use of DDT. I'm a pretty healthy guy, having been a runner, 2 hours a day, lots of hard work building houses, and whenever I eat GMO foods I get a hoarse throat for at least a week. Then I am susceptible to colds and flu while in that condition, then the voice malady continues with it. All I'm saying is, is that GMO's are the likeliest cause. Just like the DDT in the fifties. No CURE?! Preposterous! There's always a cause and a cure. The cause is always a pollutant and the cure is to get rid of the pollutants and cleanse the liver and kidneys, and eat more ORGANIC foods and more Acidic foods, which invert to Alkiline PH in the body. Stop the INSANITY! The higher pitch remedy is palaver. The Botox is Quackery. The Surgery is pumping for fees. Thank your the kind words!